Quickly figure out how to get the results you want from your MRP system with this ready to use audit. Ready to use audit and instructions to rapidly create your MRP improvement plan. Is your MRP system a 'silver bullet'? Many businesses hope that their new MRP (or ERP) system will alleviate many of their business problems. The good news - they can. The bad news - incomplete setups and missing management practices won't release a system's full potential. In many cases it is only a small tweak here and there that is required to make an MRP system go from being a 'lame duck' to a really powerful tool that the business can use. My MRP Audit kit is based on practical experience. 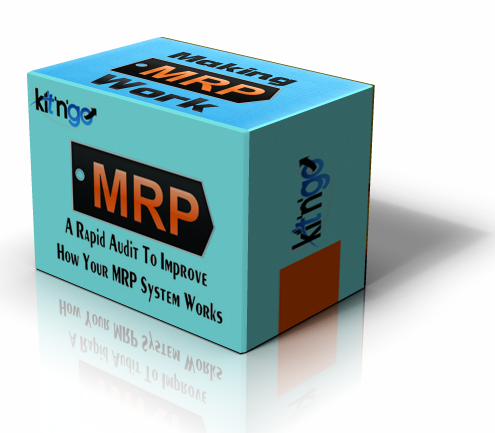 I help businesses to improve how they use and manage their MRP systems. The same is true for MRP II and ERP systems; they work on fundamental logic that has only changed marginally over the past four decades. The audit is quick to complete and gives you a fast method to generate an improvement plan. Or, put another way, complete the rapid audit and the gaps become your improvement plan. The MRP Audit kit also includes easy to follow instructions. On top of the audit, these additional instructions will help you to convert your audit into a workable improvement plan that you can start implementing immediately. The kit is available for instant download when you complete the secure purchase using the button above. And, if the MRP Audit isn't quite what you are looking for then just email me back at gilesjohnston@smartspeed.co.uk and I will arrange a full refund for you.